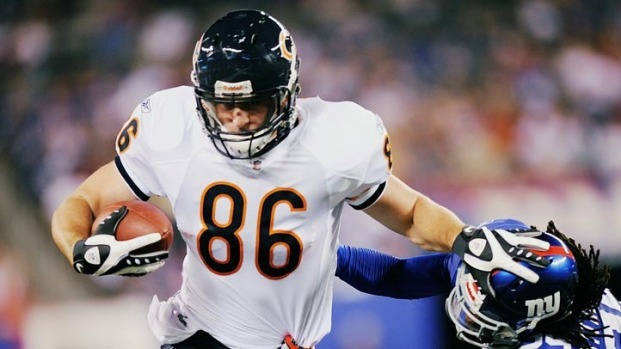 In May, Bears tight end Kyle Adams said he planned to head to Haiti for charity work during the short time players have off between mini-camp and training camp. He's now returned from Haiti with stories from his good work. Adams helped drill a well so Haitians could have access to clean water. He also helped feed some of the poorest and hungriest children he met and did construction work with the Ephraim Orphan Project. He told the Chicago Bears website the trip was incredible. He also said his group gave full meals to 40 extremely poor and hungry children. The current heat wave in Chicago makes me not want to do much more than sit on my couch with the air conditioner blasting. Then I took a look at the weather in Haiti, where they are averaging in the high 90s. It's their normal weather pattern, and Adams chose to go there during this time of year. He did back-breaking manual labor for the sole cause of making people's lives better. He doesn't seem to be the kind of man to seek a pat on the back for his good work, but he still deserves one. Kudos, Kyle.